If you have been fired, you may be wondering if you have a case for unfair dismissal. It is important to understand what an unjustified dismissal is and what rights employees have to defend against it. If you feel that the process in which you were fired was unfair dismissal, or not handled properly, you can file a claim against your employer. This article will discuss what a wrongful dismissal is and what your rights are when it comes to fighting your employer on your dismissal. Personal grievances are a kind of complaint that an employee can bring against an employer and they can come in many forms. You must raise a personal grievance claim within 90 days or else your employer is not required to do anything about your complaint. However, there are some cases in which the employer may consent to considering a personal grievance after the 90 day period. If the employer does not agree to consider the claim after the 90 day period, the employee has the right to apply to the Employment Relations Authority to be granted approval to raise their personal grievance after the 90 day timeframe. When it comes to determining whether or not there are grounds for an unjustified dismissal case, there must be evidence that the unfair dismissal was carried out for no good reason, or that it was carried out in an unfair manner. If the employee has the evidence to prove either of these situations, they have a good chance at winning a personal grievance claim against their employer. Determining what is fair is dependent on the individual circumstances of each unique situation. If an employment agreement includes disciplinary actions, that agreement must be followed by the employer. Employees have the right to be informed of what the employment issue is and that disciplinary action, up to termination is a possibility. After employees are informed of the issues the employer is having with them, they must be given an opportunity to comment on the accusations and explain their side. The employer must consider the employee’s version of the story with an open mind before they determine what disciplinary actions are needed, if any. The employer has the responsibility to thoroughly investigate all accusations of misconduct. If misconduct has been confirmed, there is a process that the employer must follow in order to proceed in a fair manner. If it is determined that the employee will be fired, the employee has the right to request a written statement from the employer detailing the reasons for their unfair dismissal. This request can be made up to 60 days after the dismissal and the employer then has 14 days to fulfill the request. 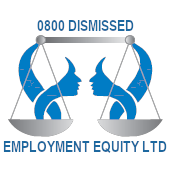 If you believe you have been unfairly dismissed from a job, contact us today to help you determine if you have enough to build an unfair dismissal case against your previous employer.